Our focus at Bailey Devine is to ensure all our home owners receive advice reflective of current market conditions, so every landlord can make an informed decision regarding their investment properties. We pride ourselves on building a rental department of the highest quality to ensure minimal issues arise throughout the rental journey. Appointing the correct Managing Agent is crucial in reducing the likelihood of issues in the future. 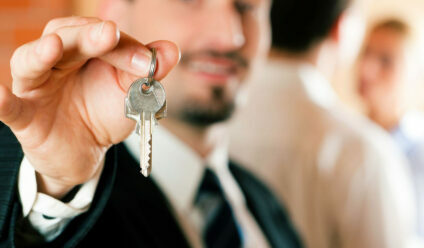 If you are considering leasing your property, there will a whole myriad of queries that you may need answered. Bailey Devine have created a list of frequently asked questions along with some other useful information that will be helpful in you making the correct decision. If you need more help and assistance, please contact the team at Bailey Devine and we will be happy to have a chat and help you out. QHow much will my property rent for? It’s the question every landlord wants to know. Searching for comparable properties on sites like realestate.com.au or reiwa.com.au is a great way to see what similar properties are being advertised for, however, this should not be the deciding factor of how your property is priced when going to market. 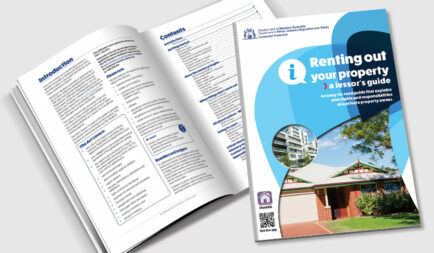 Similar homes that are leased, provides a more accurate rental amount likely to be achieved. Bailey Devine Real Estate has access to property data software that provides us access to produce a Comparative Rental Analysis (CRA) prior to your property being advertised for rent. A CRA will show exactly what similar properties are rented for and how long they took to rent. More importantly this report will show any difference between the original advertised price and the price it eventually rented for which can sometimes be quite a gap. How much a property is advertised for is not always the price it rents for and sometimes the difference can be quite significant. It is important to also consider how long comparable properties are taking to rent, especially if your property is vacant. QHow long will it take for my property to rent? The length of time a rental property is on the market will reflect how it is priced to comparable properties, how it is presented to prospective tenants and the demand from the market for properties such as your home. QHow are maintenance issues handled? If a maintenance issue arises at your property, the tenants are required to advise us of the problem in writing. Upon receipt of a maintenance request, we will contact you to discuss the matter further, provide you with options and arrange the repairs as per your instructions. In the event of an emergency, we will still try to contact you in the first instance however, we use a common-sense approach to handle the matter on your behalf if you are not contactable immediately. An invoice will be sent to our office by the contractor and this will be deducted from your rental account funds. QAre you able to pay accounts on my behalf? So that Bailey Devine Real Estate can manage your property with minimal effort on your part, rates and other accounts can be paid from the rent received on your behalf into our trust account. These accounts include; water rates, council rates, strata levies, landlord insurance and maintenance accounts. QWhen does rent money get paid to me? At the end of every month all monies held, unless instructed otherwise, are paid to you by electronic funds transfer into your nominated bank account. A statement is issued at the same time outlining the debits and credits for that month. QHow will I have everything in order at tax time? At the end of each financial year you will also receive an easy to read annual statement summarising your income and expense for the financial year. Just take it with you when you go to see your tax accountant, simple! QWhat is a routine inspection? Routine inspections are conducted regularly to check that the property is being kept in a reasonable condition. Your Bailey Devine Property Manager will provide a written report after each inspection, including photographs of the inside and outside of the property. QWhat is a compliant smoke alarm? Are permanently connected to consumer mains power (hard-wired). The BCA requires smoke alarms to be interconnected where there is more than one alarm. However interconnection of smoke alarms is not applicable to dwellings that were approved for construction prior to 1 May 2015. If the use of a battery powered smoke alarm has been approved under the Regulations, the alarm has a 10-year life battery that cannot be removed. Making your investment ready for tenancy isn’t as daunting as it seems. When a tenant moves into a property, they have the right to have it clean, maintained and in a liveable condition. Bailey Devine Real Estate suggests that the property is professionally cleaned, carpets steam cleaned, and the lawns mowed, and gardens weeded. The Property Condition Report state the condition of the property at the time of the tenant taking possession of the property. This will show how the property is presented, cleaned and maintained. The Property Condition Report provides the guidelines for the tenants of how the property should be left when vacating minus fair wear and tear. To enable Bailey Devine to market your property to a high standard we encourage professional photography to be taken at your investment property. Our photographer will ensure there is as much light in the rooms as possible, best angles are taken and they highlight the features of your home. Statistics show that tenants look through photos for cleanliness, design, and property features before anything else. If a tenant complains about a maintenance issue at your investment property, we strongly suggest trying to address the problems quickly. New paint, carpets, blinds and light fixtures can really transform your property and give you depreciation benefits too. Even if you are not a ‘pet person’ yourself, a lot of prospective tenants are. It can be quite hard to find properties which are pet friendly, some tenants are willing to pay slightly higher rent to keep their four-legged family member. If you require some work to be completed prior to tenants moving in, Bailey Devine Real Estate can arrange any tradespeople, cleaners, gardeners or handymen on your behalf. Please complete the fields below and one of our rental professionals will be in touch to discuss your specific needs. When you become one of our landlords at Bailey Devine Real Estate, we promise our service guarantee which is to provide reliable, relevant information to ensure a smooth letting experience. We provide you the peace of mind that your property is being managed by a qualified individual who has been trained by industry experts and is knowledgeable in the legislation governing residential tenancies. If you are renting out a residential property in Western Australia or thinking of doing so soon, the information in this guide will help you avoid many potential problems. This guide doesn’t take the place of the Residential Tenancies Act 1987 (the Act), nor does it cover everything, but it will give you a good working knowledge of your rights and responsibilities as a lessor of a residential rental property.